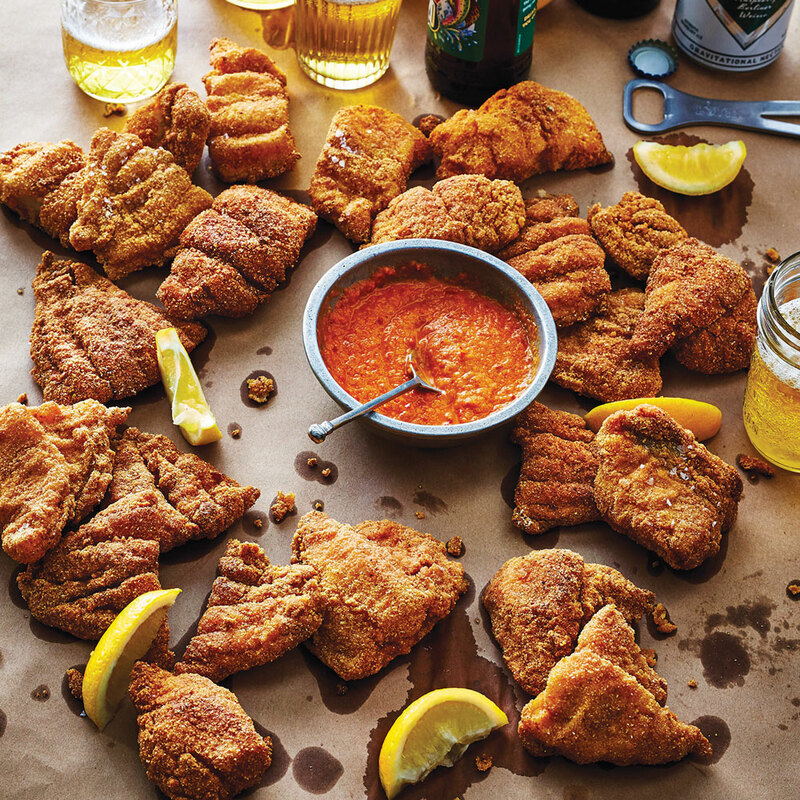 Chef Todd Richards’ Hot Sauce is the perfect compliment to his Mom’s Fried Catfish. With a balanced heat from Fresno and jalapeño peppers, and a mix of apple cider and red wine vinegars, Richards’ hot sauce brings flavor with heat. Excerpted from Soul by Todd Richards. Copyright © 2018 Oxmoor House. Reprinted with permission from Time Inc. Books, a division of Meredith Corporation. New York, NY. All rights reserved. Heat the oil in a stockpot over medium. Add the chiles, onion, and garlic; cook, stirring often, until tender, 6 to 8 minutes. Add the vinegars and red pepper flakes. Bring to a boil; cover, reduce heat to medium-low and simmer until vegetables are tender, about 20 minutes. Stir in the salt, and remove from the heat. Let stand 20 minutes.